Severus and Lily like to get under the covers of our bed....and we let them! There I said it, crazy mad dog lady through and through. Rather proud of it too. 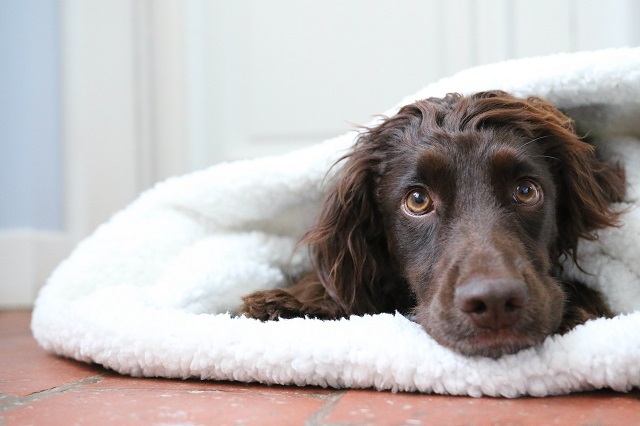 Hearing about the Slumbering Hound Snuggle Sacks got me super excited, and although the furry ones do keep us warm, having their own space to snuggle into seemed perfect for them to keep cosy. 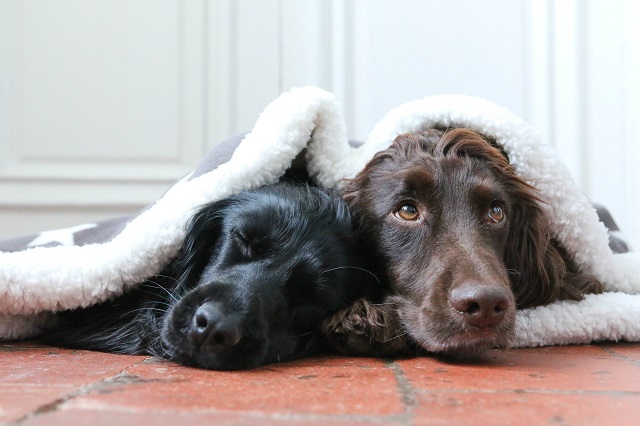 The snuggle sacks are basically a mini super cosy sleeping bag, for the dogs. 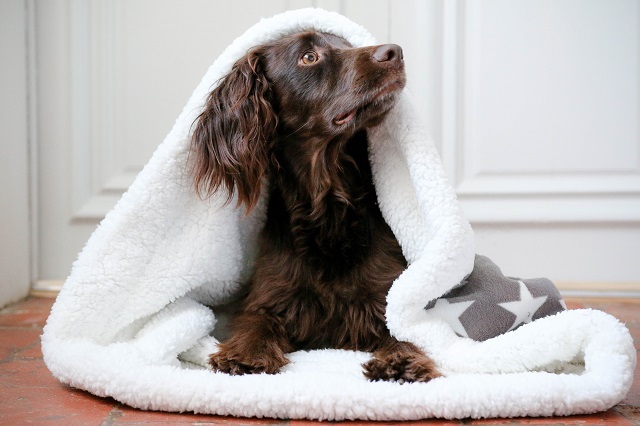 So soft and comfy with a fleece line to keep the pooches warm and want to snuggle in to the beautiful blanket. 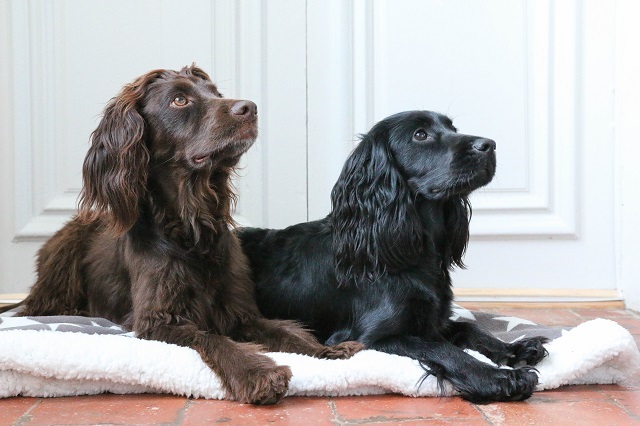 Not only the perfect travel bed, for dogs like Severus and Lily that get to explore and adventure new places most months, but perfect for throwing in the car for a little cat nap before reaching the destination. The gorgeous luxurious Slumbering Hound Snuggle Sacks also are great for leaving around the house, one of which permanently stays on "Lily's chair" for extra burrowing in, so she's able to make the bed just as she wishes. 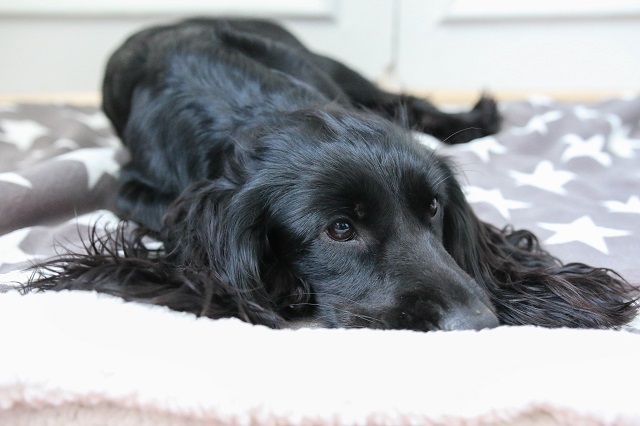 The snuggle sacks come in a variation of different colours and three different sizes, making it not only the perfect bed for the pooch but a great accessory for the home- even the dog beds have to look good around here! The grey with white stars is the perfect neutral colour for the house but also fun and happy with the design too. 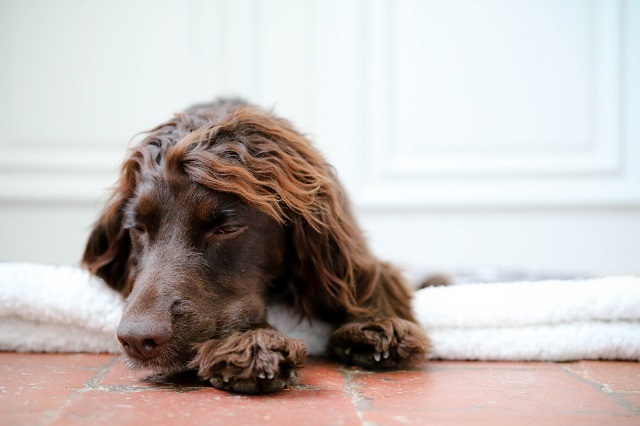 Slumbering Hound also offer personlisation of the dog beds, making it even more special and unique. 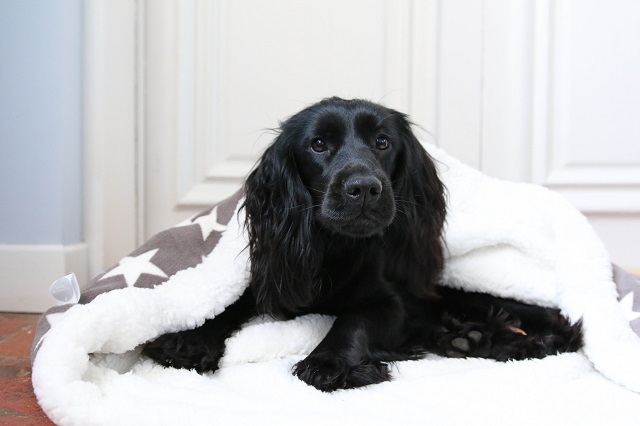 Not only do they look and feel great, but the snuggle sacks can be washed at 30 degrees too, and if you own a Spaniel that may come in handy!